The Mountaineers is proud to present our Strategic Plan 2017. After gathering input through surveys, focus groups and over 20 sessions with hundreds of members, volunteers, staff, community members and advisors, we have developed a Strategic Plan that focuses on our highest priorities and sets ambitious goals for the impact Mountaineers will have on our community. Our mission is to enrich the community by helping people explore, conserve, learn about and enjoy the lands and waters of the Pacific Northwest and beyond. 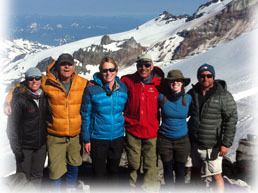 The Mountaineers is the foremost outdoor recreation organization of the Pacific Northwest. We are a trusted source for instruction and information on responsible enjoyment and protection of the natural world. Our programs and books provide safe, exciting and fun opportunities for exploration and learning to outdoor enthusiasts of all ages. The Mountaineers Program Centers serve as urban gathering places for the outdoor community and our lodges are gateways to adventure. We connect people with the outdoors to support the physical, emotional and social benefits of a healthy, active, outdoor lifestyle and because successful conservation depends on it. We extend our leadership to the realm of stewardship, public policy and public lands planning to cultivate outdoor citizenship among the recreating public. The Mountaineers serves a broad community, offering outings and programs to anyone who wants to learn about and enjoy the outdoors--especially the next generation of explorers, educators and conservationists. We are every person who itches to get outside . . . who breathes easier at the top of a mountain or on the water, away from the hustle of everyday life . . . who pushes through exhaustion and fear to the summit . . . who takes a moment to appreciate wildflowers blooming in an alpine meadow or playful seals flashing alongside a sea kayak. We want to protect the places that inspire, excite and challenge us and leave them better than when we arrived, because we know that our way of life depends on others experiencing the same wonder and joy. We thrive on challenge and believe that self-discovery can happen everywhere, at the top of Mt. Rainier or on our Program Centers’ climbing walls. Expand the breadth and strength of The Mountaineers community by making the outdoors more relevant to more people. Get more people outside. Reduce barriers to participation. Make it easy to get information, connect with others, learn and volunteer. Inspire a lifetime of engagement in recreation, conservation and education from ages 1 to 100. Provide strong membership value to improve retention. Reach out to youth, young professionals and families. Develop local partnerships to broaden our diversity. Build online communities that connect and lead users to deeper engagement with The Mountaineers. 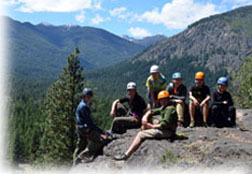 Develop and deliver meaningful outdoor adventures and educational experiences. Offer activities, events and courses that meet the needs of today’s outdoor enthusiast. Be flexible and nimble. Promote fun and innovative experiences by sharing internal and external best practices. Provide a variety of courses and seminars to retain participants and appeal to young and time-constrained people. Make courses easy to attend and complete. Strengthen our organization and volunteer infrastructure to increase our capacity for delivering high-quality programs. Enable trained volunteers to focus on leading, instructing and delivering superior programs to our community. Assist with program development, consistency and quality. Ensure continuous improvement and innovation. Support volunteer recruiting, training and recognition. Create mentoring programs and support for transfer of knowledge to aid in volunteer succession planning. Identify and fill gaps in mission-critical programming where there is no volunteer interest or expertise, or where we need to better meet the needs of our community. Use technology to improve leader communication, training, content and administration so that leaders can focus on delivering activities, not administering activities. Leverage our best-in-class content to get more people outside. Maintain a strong publishing program that retains its reputation as a best-in-class outdoor publisher and continues to serve the mission of The Mountaineers. Create a compelling online experience that offers our community opportunities for education, leadership development, user-generated content, communication and information sharing. 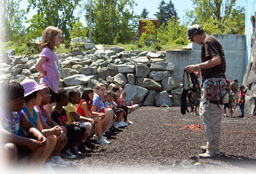 Provide gathering places and gateways for outdoor learning, adventure and exploration. Develop a supporting strategy that evaluates and optimizes the utilization of lodges and outdoor campuses in support of our mission. Leverage our Program Centers as gathering spaces and teaching locations in densely-populated areas in order to provide convenience, minimize impact and create outdoor community. Add amenities to Program Centers for convenient onsite adventure, skill-training and personal challenge and minimize travel to field locations for skill-building. Create responsible outdoor recreationists and advocates. 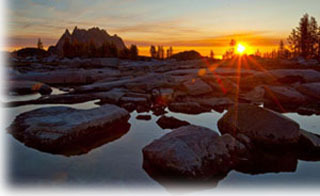 Conserve the wild backcountry and promote responsible recreation on the region’s public lands. Cultivate outdoor citizenship by informing and engaging the recreating public in conservation and recreation-access issues. Integrate a responsible recreation and conservation stewardship ethic in all of our activities. Influence public policy and participate in planning efforts to protect the wild backcountry and preserve responsible recreational access to public lands and waters. Leverage partnerships and coalitions to advance broad conservation goals while leading on select issues where conservation and sustainable recreation intersect. Get kids outside. Be the on-ramp for today’s youth to experience the outdoors and to create the next generation of outdoor enthusiasts. Grow family activities to bring more children and families into The Mountaineers, including convenient “close-to-home” activities that utilize our Program Centers. Provide information to families on how to get outside and where to go. Make our facilities attractive destinations for youth and families. Reduce the overall cost of accessing the outdoors for youth regardless of ability to pay. Increase the size of our youth-outreach program by partnering with youth-serving organizations and expanding the program outside of Seattle. Attract and retain a community of 12,000 members and 1,000,000 community engagements reaching beyond our members to include guests, book buyers, advocates, families, volunteers, readers and online visitors. 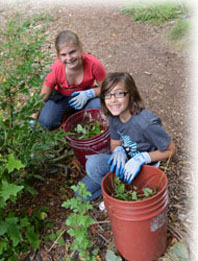 Support 3,000 volunteers organizing and leading activities, completing stewardship projects and advocating. Inform, educate and connect an online community of over 500,000 visits. Participate in efforts to protect 100,000 acres for responsible and sustainable recreation. Get 5,000 youth and families outside. For over 100 years we have been a trusted source for outdoor skill training and information. We know from years of experience that leadership is a learned and practiced skill; that’s why our students become volunteer leaders. We are a community of talented individuals who care deeply about sharing their passion for the outdoors and protecting it. We take this seriously and pursue our mission with enthusiasm and personal responsibility because our participants will be competent, responsible wilderness travelers long after their course or trip is finished. We are young; we are old; we wear fleece and we always carry our Ten Essentials, because in the unpredictable backcountry, Mountaineers are informed, trained and prepared to tackle the challenge. Join us and experience the fun, excitement and adventure of The Mountaineers. We’ll get you outside. Download our Strategic Plan 2017 document to learn more about our highest priorities and goals.